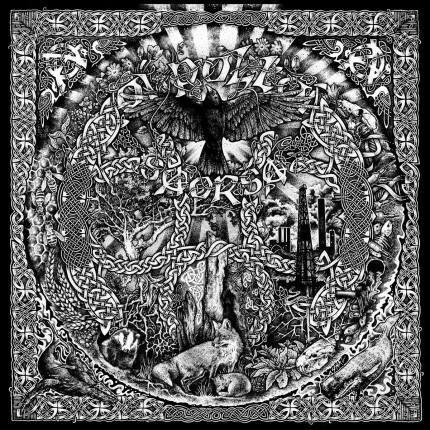 Related links to "Oi Polloi - Saorsa LP"
This is the sixth studio album of the long going scottish anarchist punk band "OI POLLOI" (ancient slang for "The Common People") - 15 new songs recorded in 2014 with an retrospective of the many musically influences of previous OI POLLOI records. Here you find the anarcho charged sing-a-long Oi!Punk in exchange with D-Beat-Crust and of course classic UK Anarcho Punk. "Saorsa" means "Freedom" in scottish gaelic and "Freedom" or "Liberty" is the lyrical main subject of this album. Lyrics are mostly sung in English with little excursions into Gaelic, Spanish as well as Yiddish. With all the heavy political content, OI POLLOI never excluded humor in what they do and this is what makes them so sympathic in my eyes. This album is housed in a gatefold sleeve with additional poster and lyric sheet. Recorded at E-Studio / Helsinki, Finland 2014.